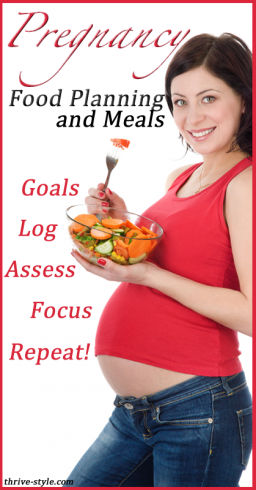 Pregnancy Food Plan and Goals — and the process of putting it into action! I do better when I eat the same things everyday. I know, that’s so boring. I tend to change it up over time, but when I’m trying to maintain very specific intakes of certain ingredients, it’s easier to be boring. 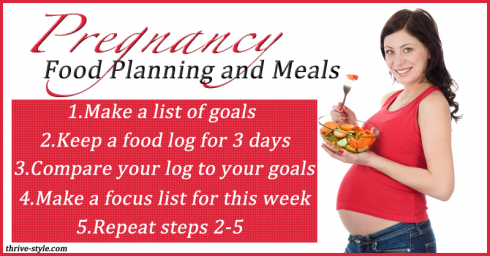 My advice to anyone who is trying to manage all the nutritional needs of pregnancy is to (1) Make a list of your food/nutrient goals, (2) Take an inventory of several days from the past week, (3) Assess how your meals measured up and what was lacking, and (4) Make a short list of things to focus on and improve over the coming week. Keep it as simple as you can! How am I actually doing? I eat gelatin everyday that I’m not traveling (and I have no more traveling scheduled for a long time). I am not doing great with the organ meat, but I do have liver meatballs in my freezer—I just want to do a little more research on where the liver came from so I can be sure there are no contamination issues. I am currently eating about 1-3 cups of cruciferous, etc., per day (depending on the day), 1 cup of leafy greens (in juice), and 1-3 cups of other veggies (depending on the day). I’m doing better now since I feel better. It was seriously helpful for my mom to visit a month ago and get me on grocery/food/recipe track. I also don’t need starch as often to make my stomach feel ok. I eat eggs on most days for breakfast, but when I don’t, I have them hardboiled for lunch. I skip about one day a week. I was eating WF farmed salmon, but then I emailed them and asked about the farming practices (their website has some info about quality, but I wanted to know what the fish eat), and I’m not thrilled about the answer. Salmon dinners are on hold till I figure out what to do! I drink around 16oz of a fermented drink (kombucha or cultured coconut water usually) everyday, and I’m trying to incorporate more fermented cabbage (raw sauerkraut) into my day (so far I’ve had a few forks full on a few days). I have no trouble eating grains and rice, and I’ve seriously toned down my gluten intake compared to before (maybe 3 servings a week). I have not done well with the coconut oil lately, but I plan to start! I am very consistent about taking the cod liver oil (and I even have Dave taking it!). No problems taking vitamins, and I drink the Cal-Mag drink about 6 days a week. Note: I also use a generous amount of butter from grass fed cows (probably 4 Tbsp a day). It’s not technically a goal of mine, but only because it’s so easy for me. If I wasn’t doing it, I’d make it a goal! After I roast the chicken (which I’m trying to do once a week), I use the carcass to make broth and then I use the broth to make soups. I try to make enough for dinner each night so that we can eat the leftovers for lunch the next day. I use the crockpot very often, and this helps me manage all the veggie side dishes. I’ve been so tired in the mornings (which is weird for me because typically I’m a morning person), but I try to get dinner planned and started by 10am. When I wake up, I make juice and I make coffee for Dave. He makes eggs and his toast (he’s eating sprouted grain now–I’m so proud!). He cleans up the first half of dishes, and then I clean the juicer and pack his lunch. It’s a pretty good system! Dave likes to cook too, but he’s studying for a big test for the Navy and he’s also very busy with work. He makes dinner once a week usually–on New Year’s Day, he made a roasted pork loin, black eyed peas, and corn bread… everything was amazing, but he did make a huge mess and there were quite a few swear words coming from the kitchen while he was working on it! Side note: Baby E is kicking like crazy this week! I love feeling it because it makes me feel pregnant instead of just blah and puffy. When you were pregnant, when did you start to feel your baby move and kick? Are you particular about the nutrient content of your food while pregnant? I am focusing on it, but not being too worried about it overall—I’m not sure I could fit everything in all the time anyway! I am loving your pregnancy updates!! What brand decaf do you drink? I order decaf coffees from Finger Lakes Coffee Roasters in NY (or my mom mails them to me). They’re my fave. I tried some local California ones and didn’t like them… FL Jamaican Me Crazy is my favorite! Next post: Should You Eat Farmed Salmon? 5 Questions You Should be Asking!